This view of future warfare, where joint and multinational interoperability is the norm—combined with a modernization effort focused on emerging capabilities and experimentation—is driving an adjustment in how the Army conducts two major operational exercises: the Joint Warfighting Assessment (JWA) and the Network Integration Evaluation (NIE). When the 3rd Brigade Combat Team, 82nd Airborne Division (3/82) arrives at Fort Bliss, Texas, this November, it will close out the last NIE. While there, it’ll evaluate three systems under test: the Distributed Common Ground System – Army; the Mission Command Information System, part of the Command Post Computing Environment; and the Mounted Mission Command System, part of the Mounted Computing Environment. 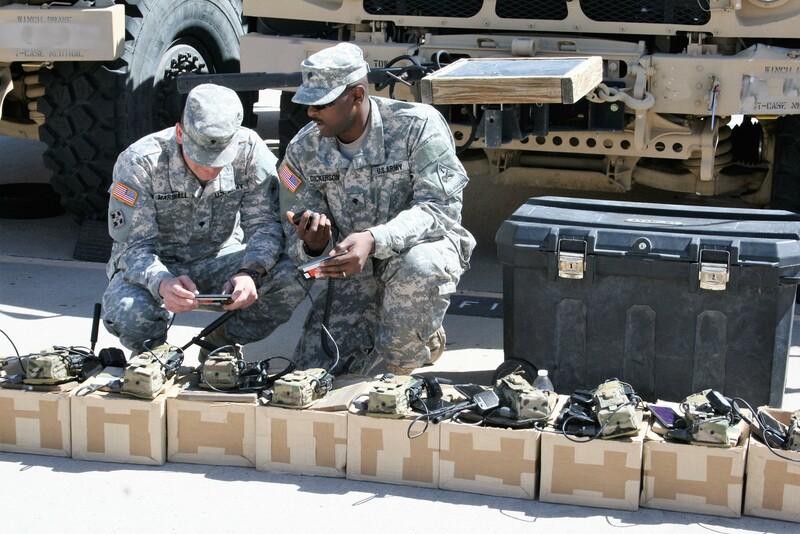 It will also conduct demonstrations of air-ground integration and tactical radios, including items that the Network Cross-Functional Team has recommended for assessment. After running through operational scenarios with the new equipment, the 3/82 will provide feedback to help inform procurement and fielding decisions. In the 3/82, the Army will look to a rotational unit, in this case a light infantry unit, to provide feedback on how its Soldiers will use the tactical network, mission command capabilities and communications for their unique missions. The 82nd Airborne Division has requested that scenarios at the NIE focus on joint forcible entry operations, to take advantage of the unique capabilities of the 82nd Airborne, which serves as the Army’s rapid deployment force and must be able to respond to any threat worldwide with very little notice, flying from home station in order to seize key terrain inside a contested battlespace. And because two of the three systems under test are found in the command post, modeling and simulation will play heavily into the scenario, replicating maneuver companies so Soldiers can run multiple drills in the command post. All of this will take place in a heavily contested cyber and electronic warfare environment to fully stress the systems against replicate threats. However, as the Army steadily embraces rapid prototyping, experimentation and the “fail early” mentality of trying a capability out before making it a program of record, the NIE is no longer the best model for network modernization. In 2015, the Army decided to make the NIE an annual event, sharing time with a complementary new assessment, known as the JWA (originally named the Army Warfighting Assessment), which focused on experimentation, prototyping and joint and multinational interoperability. This year, the Army decided to move forward solely with the JWA, starting in FY19 and beyond. This spring, for the first time, the JWA took place outside the United States. Units from the 2nd Brigade, 1st Infantry Division; the 1st Infantry Division headquarters; the 173rd Airborne Brigade and others gathered in Germany from April 22 to May 9 to assess new concepts and capabilities alongside joint and coalition partners that included brigade headquarters from the United Kingdom, Canada, France and Germany, a battalion headquarters from Denmark, and participants from Italy, Australia, New Zealand and Spain. The JWA leveraged two other existing exercises taking place in Europe at that time, the U.S. Air Force’s Blue Flag and the U.S. Army’s Combined Resolve X. 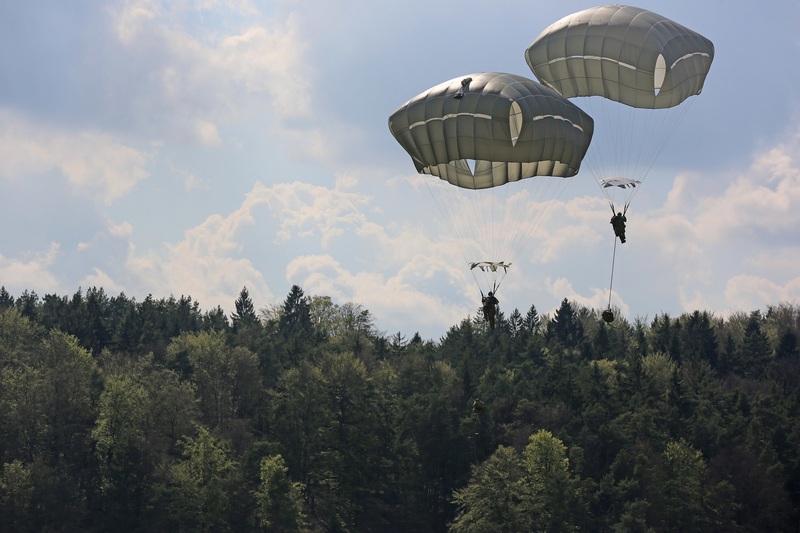 The execution of the JWA in Europe—at Grafenwoehr Training Area and Hohenfels Training Area in Germany—brought new challenges for the acquisition team that supports the events. Up until last year, all NIEs and JWAs were planned and executed at Fort Bliss. 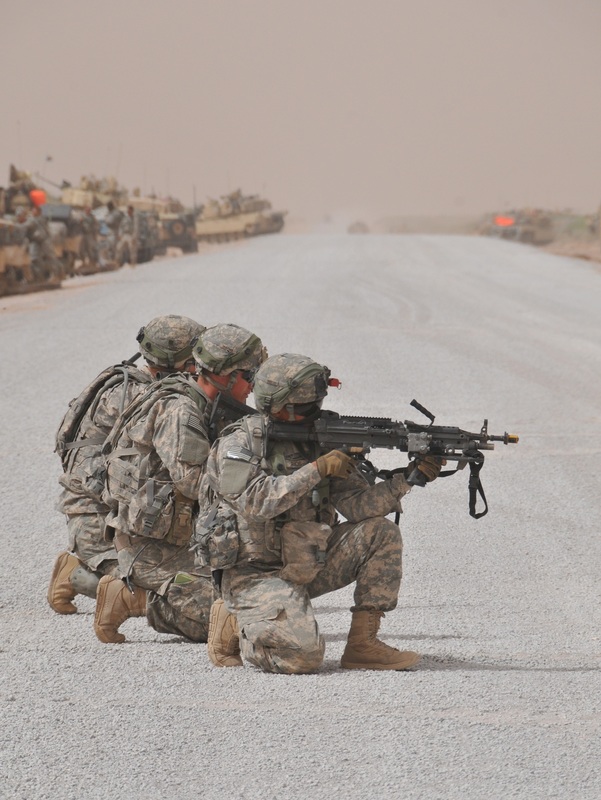 This time, some planning and coordination happened at Fort Bliss, but the brunt of activities, from integrating vehicles to validating the networks needed for the exercise, occurred overseas. One of the biggest challenges came in the form of network planning. Although there are some common international standards for sharing data, no two countries use exactly the same mission command systems. The Program Executive Office for Command, Control and Communications – Tactical (PEO C3T) brought deliberate network and configuration, through the use of detailed architecture products, to the JWA to ensure that the different systems could communicate and populate execute vital messaging as seamlessly as possible. Two key pieces of early technology—Automated Communications Information Software and the Mission Command Information System—helped support this interoperability. As part of JWA 18, the Capability Package Directorate (CPD), as the lead for the assistant secretary of the Army for acquisition, logistics and technology (ASA(ALT)), supported the JMC and several other partners in preparing and assessing solutions to the Army Warfighting Challenges. The concepts and capabilities were assessed through the lens of 18 of the 20 Army Warfighting Challenges, such as to “Ensure Interoperability and Operate in Joint, Inter-organizational, Multination Environment” and to “Employ Cross Domain Fires.” These are key areas the Army has deemed as either needing new capabilities or needing a better way of using what the Army has today. CPD, with support from PEO C3T Technology Management Division, Project Manager Electronic Warfare and Cyber (PM EW&C), Project Manager Mission Command (PM MC) and Project Manager Tactical Networks, had to incorporate and validate almost 30 concepts and capabilities into the operational network for JWA 18. Three of the most mature systems included the Army Rapid Capabilities Office and PM EW&C Electronic Warfare Phase 1 systems, PM MC’s Army Coalition Interoperability System and its early release of the Mission Command Information System, which will be under test in November 2018. 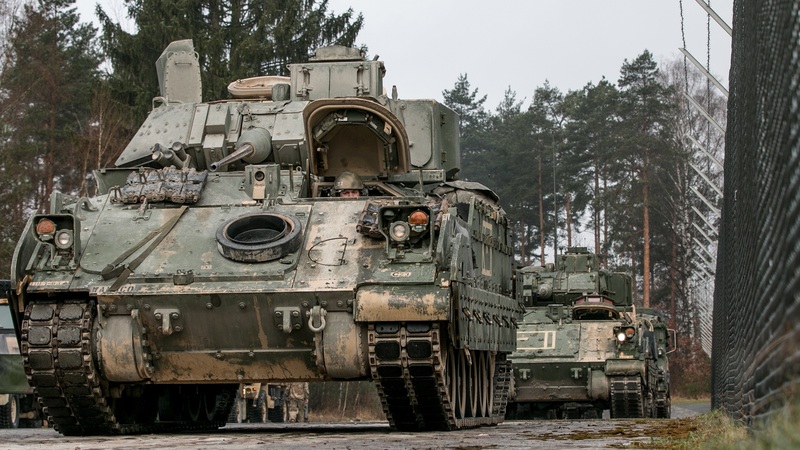 Soldiers assessed additional concepts that included the tactical power management concept, ground mobility vehicle, mobile protected firepower, and the robotic complex breach. Capabilities included division and below short-range air defense capability and Stryker-directed energy at the forward edge. 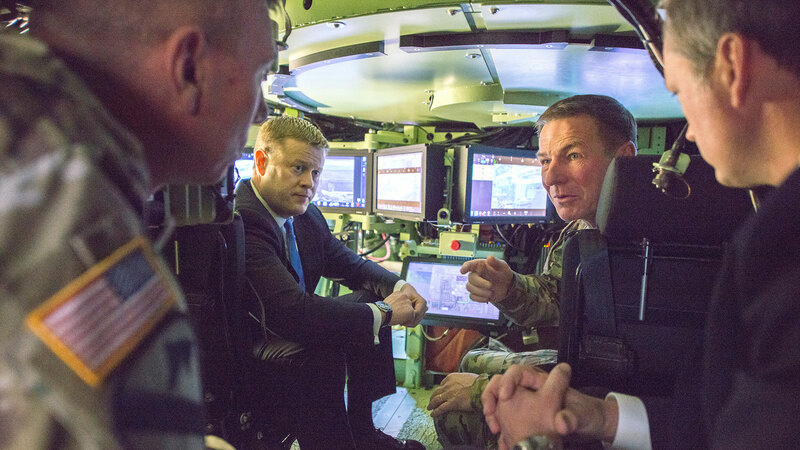 The team also integrated systems on vehicles, including capabilities for counter-unmanned aircraft systems, radars, navigation and coalition interoperability. Taking the exercise overseas for the first time required ASA(ALT) to coordinate these integration efforts with a variety of multinational players, and to teach new partners how NATO operates its technology and intelligence systems. These experiences and the lessons learned will benefit the execution of future JWA events, as well as real-world operations with allied nations. Moving forward, the yearly JWA, with its focus on emerging capabilities, experimentation and operational concepts, fits the Army’s modernization strategy with alternating annual orientations in either the European or Pacific theater. JWAs will support three primary objectives: enhance training readiness; inform future force development; and enable joint, inter-organizational and multination warfighting. Program managers can take advantage, inside those objectives, to get operational feedback on products before operational test events. Additionally, the Army will use a range of test and evaluation events from various other venues, including labs, warfighters, formations outside the continental U.S. and other events from company to corps size to support traditional operational testing. ASA(ALT) will continue to support these events with network planning, network integration, vehicle integration, management of field support representatives, new equipment training, and other needs in support of TRADOC and JMC. As the Army’s rapid assessment model continues to evolve, with JWA as the main mission complemented by a series of small and medium opportunities, ASA(ALT) is poised to apply expertise gained through the NIE and JWA to enable integrated and efficient evaluations of emerging concepts and capabilities. CPD will continue to be a focal point to integrate PM support into these missions. And as the U.S. Army Test and Evaluation Command drives the future planning requirements for large program-of-record tests that would have taken place at NIE, an ASA(ALT) team will continue to assist in integrating network and mission command elements. For more information go to https://www.bliss.army.mil/JMC/.